We did both guys and girls preparation photos at the Hilton Hotel and they featured Harry Potter books, Dorothy red shoes, the Back Street Boys (are back), and a ‘first look’ involving an escalator. 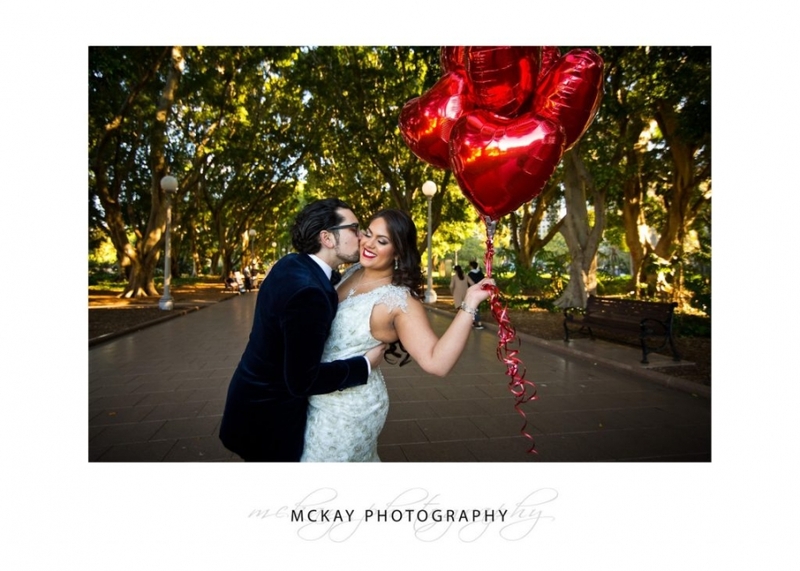 We headed out via limo to Hyde Park and Martin Place for some bridal party photos and the red love balloons looked amazing. 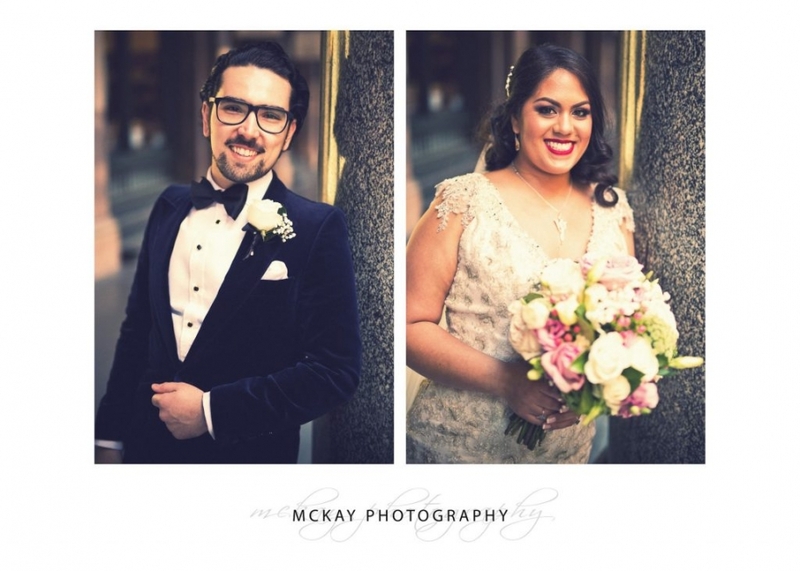 The ceremony was held at the Tea Room QVB and it’s such an awesome venue. The room is stunning…. I actually can’t stop staring at the ceiling plaster work and the giant chandelier. 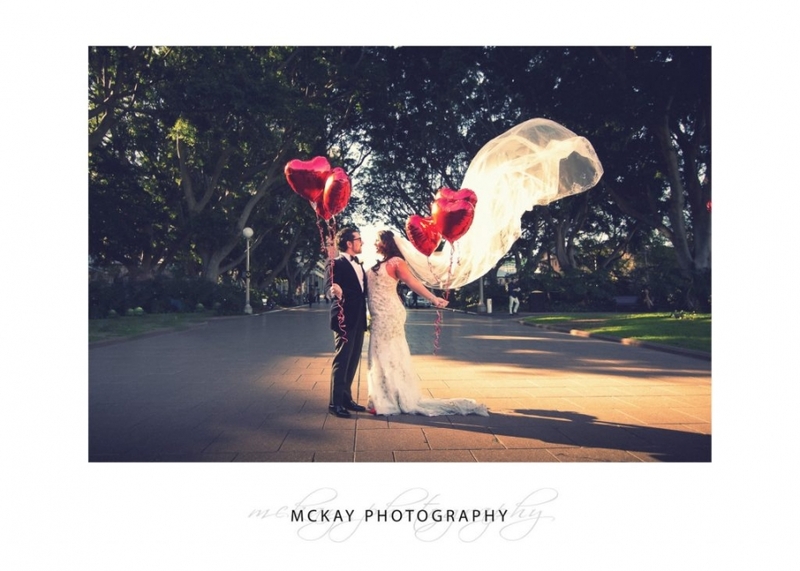 It was awesome to work with Pauline Fawkner (celebrant) and Jeremiah Hartman (MC), links below.